PARTNER NEWS: German car manufacturer Daimler’s smartphone-based digital vehicle key for its Mercedes-Benz E-Class range that lets drivers lock and unlock their cars as well as start the engine using an NFC device is being supported by digital security giant Gemalto’s Trusted Services Hub (TSH). “Gemalto’s TSH enables seamless and secure over-the-air deployment of the digital keys to any type of phone that supports the solution,” Gemalto says. “With the key safely downloaded to a secure element via Gemalto’s TSH, drivers can lock/unlock their cars by simply placing the smartphone against the door handle. 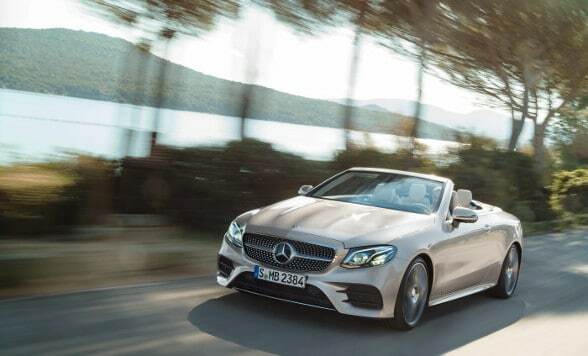 Mercedes unveiled its E-Class cars with NFC entry for the first time at the Detroit Motor Show in January 2016. Customers of Daimler’s mobility services will also soon be able to use a dedicated Mercedes Pay mobile payment platform to “easily and securely pay for mobility offerings and services using their smartphones”. ​Amsterdam, May 15, 2017 – Gemalto (Euronext NL0000400653 GTO), the world leader in digital security, is providing its Trusted Services Hub (TSH) to support Daimler AG’s new smartphone-based ‘digital vehicle key’ for the Mercedes-Benz E-Class range. The premium car maker’s innovative solution gives drivers the freedom to lock/unlock and start their vehicles using nothing more than an NFC smartphone. Gemalto’s TSH enables seamless and secure over-the-air deployment of the digital keys to any type of phone that supports the solution. With the key safely downloaded to a secure element* via Gemalto’s TSH, drivers can lock/unlock their cars by simply placing the smartphone against the door handle. The engine can also be turned on with the phone in the charging tray of the dashboard by pressing the start button. Capable of operating even if the phone battery** is drained, the need to carry a conventional key is eliminated.